Marc and I have always been huge dog lovers. Both of us have grown up with dogs in our family from a very early age. Marc and I were both teachers, but I have always wanted to have a career involving dogs and in 2011 the opportunity came up for me to train as a dog groomer. Since then I have developed a successful mobile dog grooming business with two mobile vans and four groomers. Our first dog together was Jasmine, a Golden Retriever. Since Jasmine, we've had a couple other wonderful dogs but our love for Labradoodles started when we bought Layla. She stole our hearts and put into motion researching the breed that turned into Providence Labradoodles. Our puppies, like our dogs, are raised in our home with lots of human contact. It is so important to us to raise well rounded and happy puppies that will make wonderful family pets. 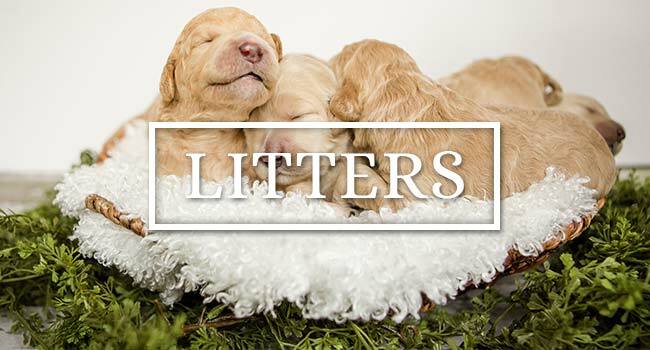 Our puppies are raised using the Puppy Culture Protocol with early neurological stimulation (ENS) from day 3. They are socialized with our family dogs and many family and friends that are apart of our lives. 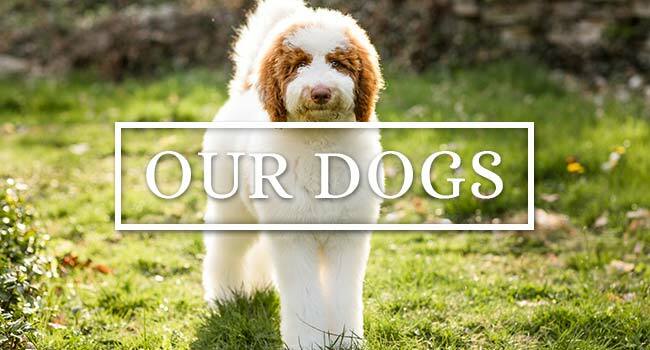 Our labradoodles are non-shedding, allergy-friendly, and asthma-friendly. They are sweet, smart and provide hours of entertainment! Providence Labradoodles want the best for all involved. A well-loved, well socialized and well trained puppy promises years of delight. You can read more about our dogs and puppies on the Meet Our Dogs page and Puppies page.